Goodwill makes an impact in more ways than one and their retail stores are especially beneficial for our community and the many employees that call it home. Goodwill Kennewick is the newest retail store in Tri-Cities. 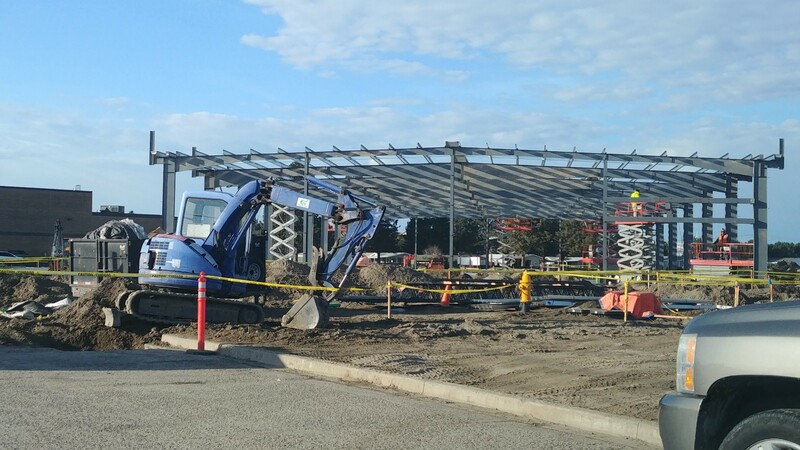 It will feature almost 20,000 sq/ft of shopping space complete with an intake area for accepting and processing donated items. Located just off Columbia Center Blvd by the flash cube building, this ideal location will be bright and modern. G2 is proud to work alongside Goodwill – one of our most favorite clients – and bring their newest project to life. Stay tuned for updates! Key Feature: Coming Soon! Details to follow. Key Feature: Realtors! 3.5-4% commission offered! Lease space available, move-in ready. This is a rare gem of an opportunity! Beautiful modern building with mature landscaping, new finishes throughout. 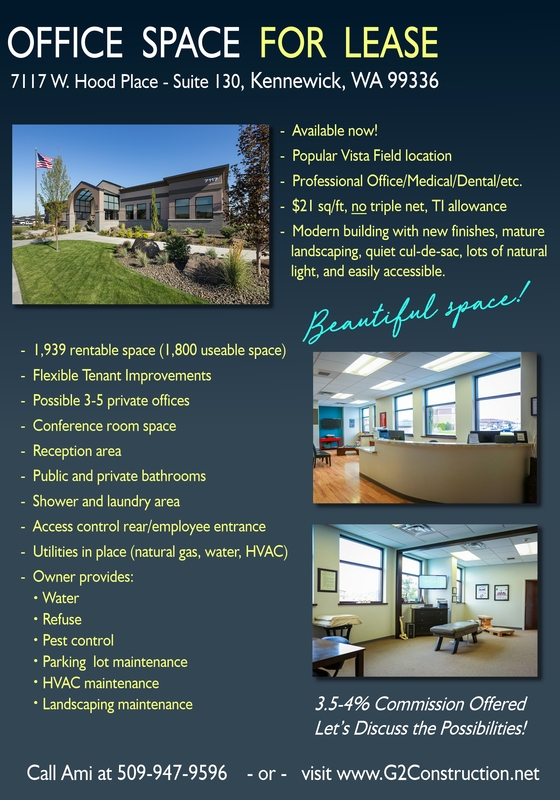 Currently sits as 3 separate offices with 1 larger one, 2 bathrooms (1 with a shower), x-ray room, and two smaller office/private room spaces. Nice sized reception area with waiting room/play space. Lots of owner-provided items and features to this space. This is an end until with abundant natural lighting. Just behind Vista Field, this ideal location makes it easily accessible to traffic yet without being on a noisy main drag. 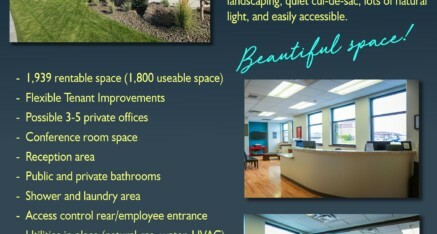 Perfect for a professional office, dental/medical, or commercial business. 1,800 total square feet available. $21 sq/ft with NO triple net and TI upgrades. Let’s talk about the possibilities – give us a call today. 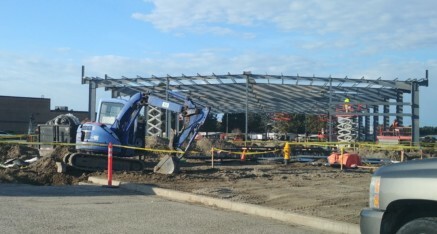 https://www.g2construction.net/wp-content/uploads/G2-Construction-Suite-130-for-Lease_12-6-18.pdf www.G2Construction.net or call 509-783-8900.